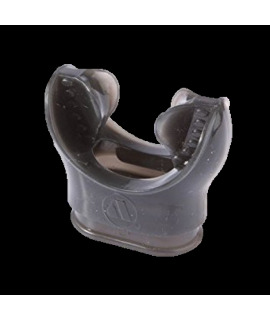 Jax is an anatomical mouthpiece that will fit perfectly your mouth due to the initial customization done by putting the mouthpiece in hot water and then biting it in your teeth. The most important advantage of JAX while diving is the significant relaxation of all the mouth muscles, especially those of the jaw. This relaxation means greater safety for the diver, especially during longer periods under water. JAX is exceptionally stable. During the customisation operations, the intake surface moulds itself the teeth, guaranteeing solid grip and a firm, stable hold. 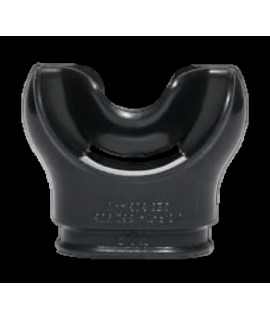 Safety is assured in the event of accidental blows or in strong currents that would normally cause the mouthpiece to be knocked from the mouth. JAX is surprisingly long lasting. Durability tests of over 300 dives have been carried out, with no signs of breakage or tearing. All devices tested were still in perfect condition. 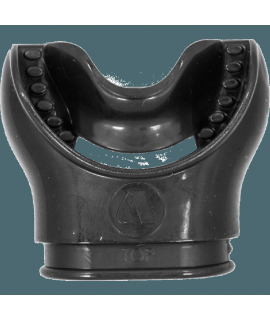 Technical details JAX is anatomical - it provides a housing for each single tooth, from the canines to the molars. Result: even distribution of pressure and correct occlusion (between the teeth) spacing. 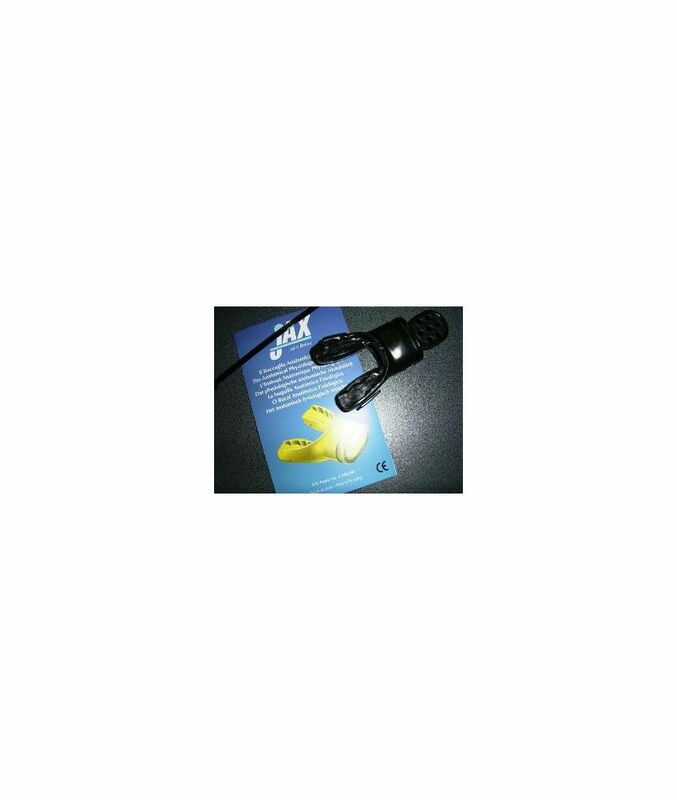 JAX is physiological - the thickness and inclination of the stop support-surfaces are specifically calibrated to the normal rest position of the jaw. Result: the space between the upper and lower teeth and the inclination of the jaw are taken into account. JAX can be customised - its thermoplastic material adapts perfectly to the individual mouth shape, while the stops guarantee excellent operation. Result: maximum comfort and stability in the mouth. 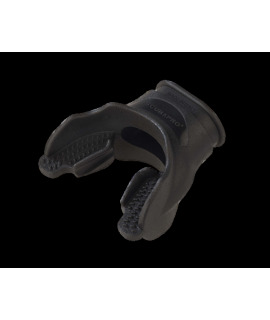 Jax is an anatomical mouthpiece that will fit perfectly your mouth due to the initial customization done by putting the mouthpiece in hot water and then biting it in your teeth.. The most important advantage of JAX while diving is the significant relaxation of all the mouth muscles, especially those of the jaw. This relaxation means greater safety for the diver, especially during longer periods under water..
JAX is exceptionally stable. During the customisation operations, the intake surface moulds itself the teeth, guaranteeing solid grip and a firm, stable hold. 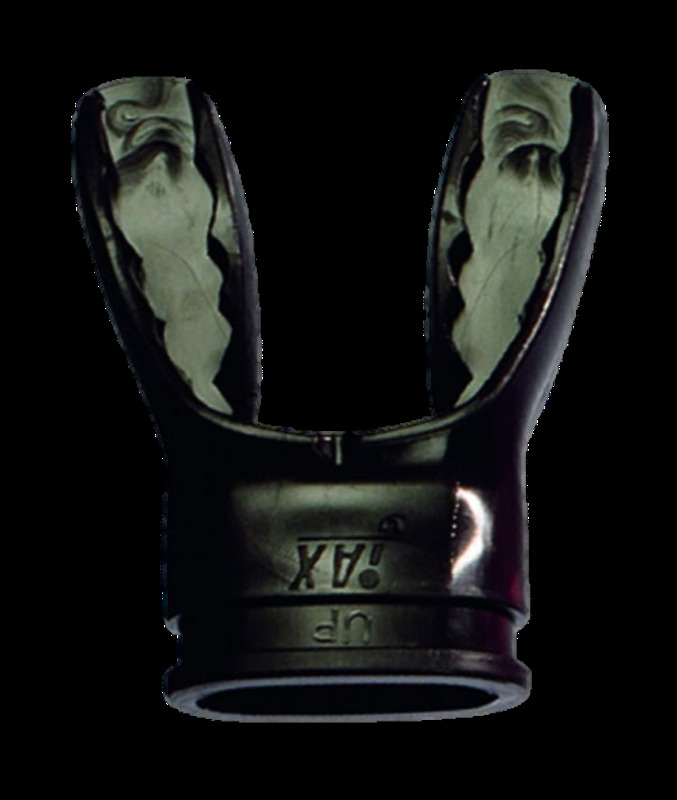 Safety is assured in the event of accidental blows or in strong currents that would normally cause the mouthpiece to be knocked from the mouth..
JAX is surprisingly long lasting. Durability tests of over 300 dives have been carried out, with no signs of breakage or tearing. All devices tested were still in perfect condition..
Technical details JAX is anatomical - it provides a housing for each single tooth, from the canines to the molars. Result: even distribution of pressure and correct occlusion (between the teeth) spacing. JAX is physiological - the thickness and inclination of the stop support-surfaces are specifically calibrated to the normal rest position of the jaw. Result: the space between the upper and lower teeth and the inclination of the jaw are taken into account..